The El Conquistador Resort, A Waldorf Astoria Resort, plays host to IEEE APS-URSI 2016 for the symposium's first foray into an offshore destination, as well as its first location within Region 9. Symposium activities including, but not limited to, oral lectures and poster sessions, exhibit hall, special sessions, tutorials and committee meetings, will take place in the hotel's Grand Atlantic Conference Center, one of the largest meeting spaces in the Caribbean. This resort, situated on a 300 foot high cliff overlooking the ocean, offers relaxing views for its guests. Guest room assignments will be on a first come-first served basis, whereby guests may enjoy full or partial ocean views or rich mountain and rainforest views. Please note that the rooms in the "Las Brisas" section of the hotel are the closest in proximity to the Grand Atlantic Conference Center. Note, too, that breakfast is included in the room rate. Arriving early or staying on a few days post-program? There are seven pools from which to choose, all offering their own view and personality - lap lanes, swim up bar, jacuzzi. And if you're traveling with the family and young children, consider a day at Camp Coqui, a specially-designed program offering a variety of activities for kids. More specific information, including fees, can be found on the hotel's website - http://www.elconresort.com/play/camp-coqui/. Or, a fun and relaxing day at the Coqui Water Park, featuring water slides and more exciting activities and dining opportunities. Symposium attendees will have a discount of 15% off the standard daily rate ($16.96 USD for adults; $12.71 USD for children) or the option of multi-day tickets (three-day package: adults, $49.50; children $36.95 OR five-day package: adults $79.95; children $59.95). 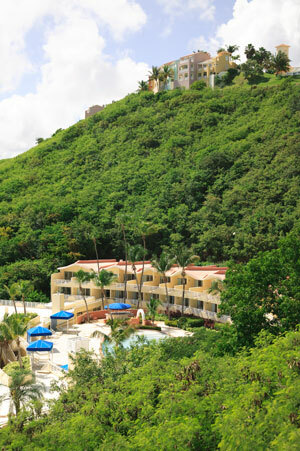 More specific information, including fees, can be found on the hotel's website - http://www.elconresort.com/play/coqui-water-park. Unlike other resorts of its kind, the El Conquistador has its own separate island beach, Palomino Island, which you may access via water taxi from the hotel's marina. A short ride from the dock and you're in a sandy paradise, featuring seaside activities such as deep sea diving, snorkeling through rainbow coral reefs or horseback riding along wilderness trails. 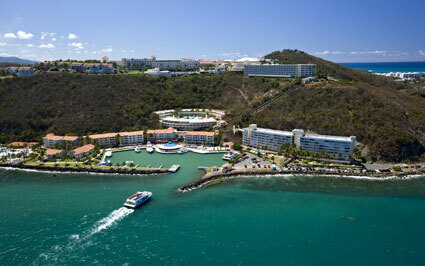 At the marina, meet with a water sport representative to book excursions such as deep sea diving and catamaran tours.